One of the most controversial YA novels of all time, The Chocolate War is a modern masterpiece that speaks to fans of S. E. Hinton's The Outsiders and John Knowles's A Separate Peace. 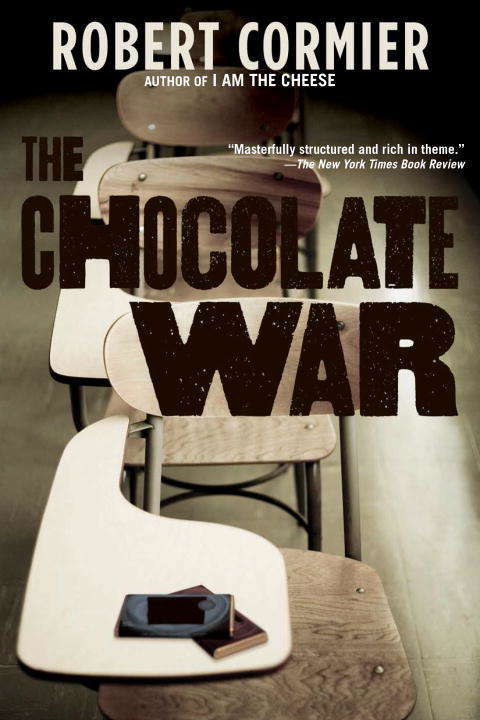 After suffering rejection from seven major publishers, The Chocolate War made its debut in 1974, and quickly became a bestselling--and provocative--classic for young adults. This chilling portrait of an all-boys prep school casts an unflinching eye on the pitfalls of conformity and corruption in our most elite cultural institutions. "Masterfully structured and rich in theme; the action is well crafted, well timed, suspenseful." --The New York Times Book Review "The characterizations of all the boys are superb." --School Library Journal, starred review "Compellingly immediate. . . . Readers will respect the uncompromising ending." --Kirkus Reviews, starred review An ALA Best Book for Young Adults A School Library Journal Best Book of the Year A Kirkus Reviews Editor's Choice A New York Times Outstanding Book of the YearFrom the Trade Paperback edition.